Marnie and Teri Villeggiante make up The Wine Country Home Team and are co-owners of NextHome Wine Country Premier. They are excited to share the wonderful expeience of buying and selling real estate with you! Whether you are buying or selling a , Marnie and Teri will provide you with the patience, knowledge, experience and resources to help you in your real estate transactions. They are both life long Sonoma County residents and they LOVE where they live. They are very active in the community and thoroughly enjoy what this county has to offer. Marie and Teri have built a business based on referrals, which can only be successful when gaining 100% client satisfaction. They enjoy helping clients with their real estate needs big or small. They believe in honesty, integrity and results! 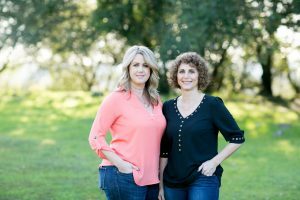 Marnie and Teri know Sonoma County; put them to work for you- You’ll make a great team.